Last Friday, a tweet claiming that ESSENCE has never used a Black female photographer to shoot a cover went viral. Despite its celebratory intent, the tweet garnered the opposite reaction — and with good reason. As the post gained traction, people questioned how could a magazine that embraces all things Black Girl Magic possibly forget about Black women and neglect to use them as cover photographers. We are setting the record straight…that has never been the case. ESSENCE, a groundbreaking magazine first published in 1970 and dedicated to Black women, has indeed had Black women photograph our covers prior to the October 2018 issue. Black women such as Phyllis Cuington-Wier had opportunities with Essence at a time when few to no opportunities were afforded to Black women photographers at major publications. 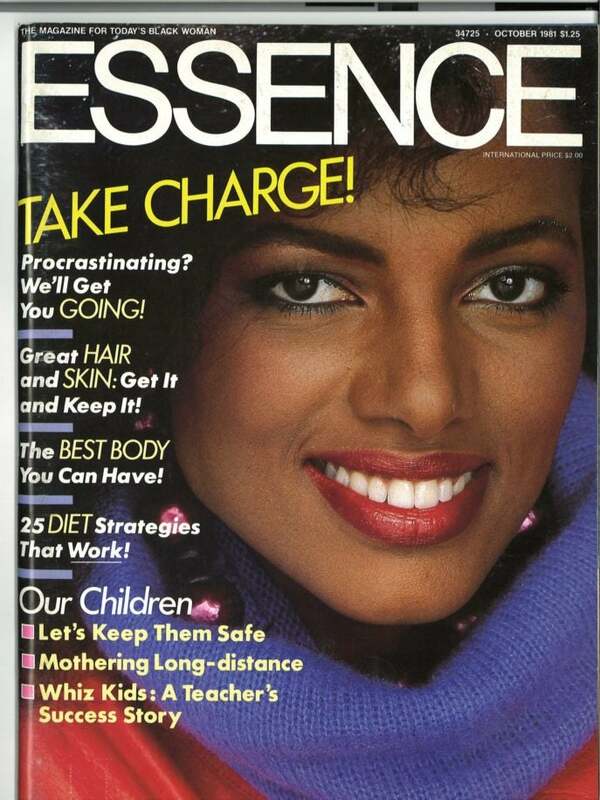 Cuington-Wier was among the first Black female photographers to shoot an ESSENCE cover almost 40 years ago — featuring model Wanakee Pugh — as well as several other covers in the 1980s. Cuington-Wier and other Black women photographers like her have helped to pave the way for so many others, especially in a field that has been vastly dominated by men. Until recently, Black women photographers have simply not had access to the same opportunities as their male counterparts. ESSENCE is committed to changing that. ESSENCE has always been at the forefront of celebrating and embracing Black creatives, who have overwhelmingly captured and brought to life the iconic images that have graced the pages of the magazine since our first issue. The creative team at ESSENCE has also always been led by Black creative directors, most of whom have been women. Still, conversations such as the one sparked by the tweet are important because they are a reminder that we too have room to grow and that our responsibility doesn’t end at providing opportunities within our platforms. We must not only lead the charge in expanding opportunities for Black women as we always have, but we must also accelerate the change. More Black women photographers and other creatives need to be developed, provided opportunities and put at the forefront. Now, as a 100% Black-owned, independent company, ESSENCE has a renewed commitment and unapologetic focus to be the change we want to see in media. In addition, we are calling on the industry at large to join us by recognizing and highlighting Black creatives in all aspects, including our phenomenal Black women photographers. We started demonstrating our deeper commitment earlier this year when we announced our $20 million Essence Makers and Creators Fund, which will invest in Black creators to ensure we “can own our content and not just be work for hire.” ESSENCE is also a strategic partner of the New Voices Fund, which will invest $100 million in businesses led by women of color. ESSENCE is not just talking about it, we are committed to the continued support of Black creatives across all of our platforms. We are walking it, living it, breathing it, doing it and owning it – and more importantly, we want you to hold us accountable for it. We look forward to hearing from you and sharing with you what’s next for ESSENCE as we continue to celebrate and highlight Black women around the world.